Pre-Prime Day deal: Why pay for Dash Buttons when Amazon will pay you instead? 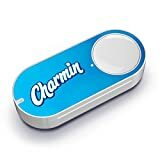 We can’t state conclusively that Amazon’s Dash Buttons are man kind’s greatest achievement. 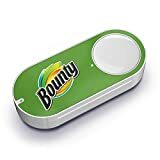 That said, we also can’t state conclusively that Amazon’s Dash Buttons aren‘t mankind’s greatest achievement. These brilliant little buttons can be strategically placed anywhere around your home, and each button corresponds to a different product you use regularly. For example, you might have a Tide button near your washing machine, a Charmin button in the bathroom, a Keurig K-Cup Pods button in the kitchen next to your coffee maker, and a Gatorade button next to your treadmill. Then, when you find yourself running low on the product in question, you just press the Dash Button and presto, you’ve reordered the product. The other awesome thing about Dash Buttons is that they’re basically free. You pay $4.99 to get a new button, but then you get a $4.99 credit the first time you use it. How great is that? Well guess what: It gets even better. Prime Day 2017 doesn’t officially start until 9:00 PM ET on Monday night, but Amazon just couldn’t wait to get the show on the road this year. 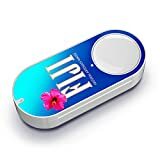 For the rest of the day today, every single one of the 354 Dash Buttons available on Amazon’s website is on sale for just $0.99. Do you want to know what the best part is? That’s right, you still get the $4.99 credit the first time you use each button! Yes, you read that correctly: Amazon is going to pay you to pick up Dash Buttons right now. You’ll find a handful of Amazon’s most popular Dash Buttons listed below, and you can shop the entire collection right here. This sale only lasts until the end of the day today, so you should definitely get in on the action while you can.